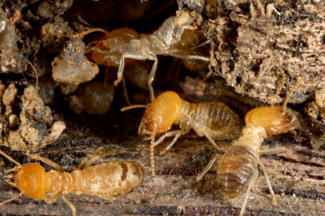 There are several people who bear a heavy cost from termite damage. Termite attacks in your priceless property are not only harmful but also you have to pay a high price for your lost goods. Whether it is your household items or business objects, termite infestations leave a negative impact on the inestimable objects of your home and office. The toxic creatures make their infestations on wooden objects. You need to seek quick preventive measures to stop the poisonous pests from attacking your pricey possessions. The only way out is to identify and shield your property from termite attacks by way of effective solutions from a renowned pest agency. The expert team of pest agency caters commendable pest control services to help eradicate termites from unexposed zones. Get free termite inspection from qualified technicians who will examine and identify the nasty pests from unreachable areas. The pro team will reduce the openings which help termite access to your living area. By use of termite treatment plans, you can easily mitigate the risks of malicious pests. Get your belongings thoroughly inspected by skilled inspectors who have years of experience in rooting out termite-connected hassles. The proficient technicians monitor every places and wooden objects of your home and business zone to exterminate the nasty pests. The termiticides applied by termites control services in WA will keep your wooden-based objects free from toxic pests. The guidance and proficient pest services provided by the distinguished pest control agency are certain to stave you off from termite issues. Stop browsing the websites of other pest agencies. Get immediate pest treatments from the acclaimed agency now!